For a 5k or your next marathon, these 2-in-1 running shorts will support you as you check off your goals. Built with Speedwick fabric, these women's shorts are designed to pull sweat away from your skin to keep you dry and cool, mile after mile. 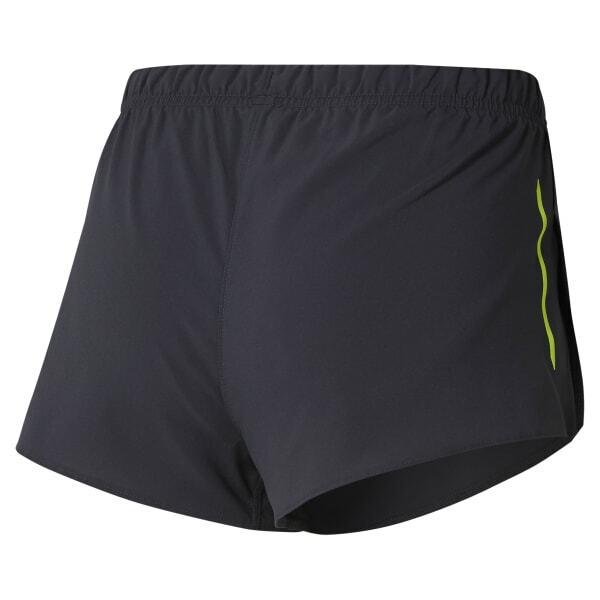 Built-in inner briefs provide comfort, while the outer shorts feature side splits for free movement. These shorts are part of a collection that pays homage to the Reebok Boston Track Club.